Selling your home is a lot more work than many people assume it is. There is a lot more to it than hiring an agent and sticking a sign in your yard. A big part of the real estate process is staging your home for sale. Staging involves decluttering, cleaning, and decorating your home in ways that make it as appealing as possible to a large number of potential buyers. Many people hire a professional stager to help with the process, but a lot of staging is easily done on your own. Use the following tips to help prepare your home for the real estate market. 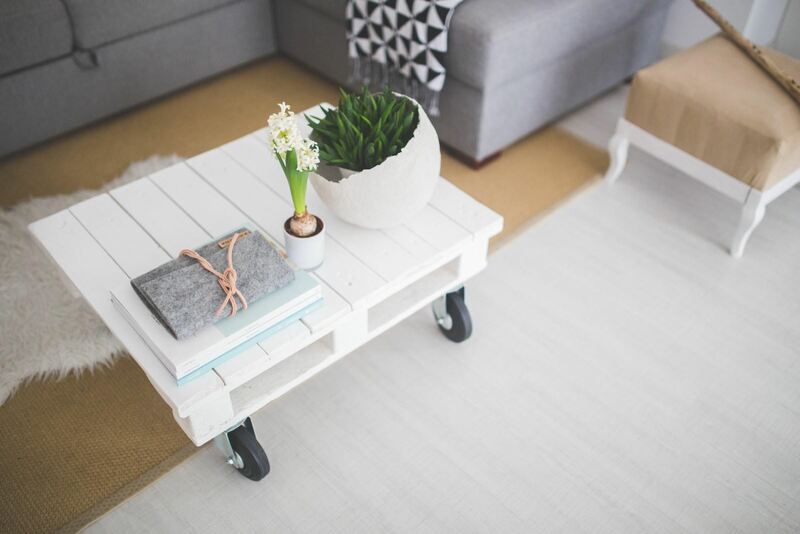 When it comes to home staging, decluttering is one of the biggest jobs on your plate. As consumers, we often buy a lot more than we need. That excessive consumption often shows through crowded closets, messy countertops, and overstuff shelves. Decluttering your home and getting rid of these excess possessions helps highlight everything your home has to offer -- especially when it comes to storage. Decluttering isn’t easy for a lot of people. We tend to attach memories and sentiments to certain items and feel guilty about letting them go. For help with these difficulties, many people turn to organizational expert Marie Kondo. Her bestselling book The Life-Changing Magic of Tidying Up has inspired people to thank and let go of the things in their home that fail to “spark joy.” The book is an easy afternoon read that can help get you started on your decluttering journey. A clean home is an attractive home. Not only does it get rid of unsightly dirt, grime, and stains, but a thorough cleaning also makes your house smell its best. Even if you are a certified clean freak, this is one of those times where it is best to call in professionals to do the job. A professional cleaner can see things that you’ve grown accustomed to in your peripheral vision. Plus, people putting their house on the market are generally short on the amount of time it takes to truly detail your home. If your home has carpets and rugs, it’s also a good idea to get a professional carpet cleaner through the door, especially if you have pets. The average price to clean carpets or rugs in a home in Libertyville, Illinois, can cost as little as $114 to $300. Over the years, your home’s paint job has likely suffered from a few bumps and scrapes. While they are probably hard to notice, it’s still a great idea to go over your home with a fresh coat as a way to prepare it for market. Painting is an inexpensive update that can take years off a house’s look. Most homebuyers expect owners to slap on a fresh coat of paint nowadays. Even if you can’t repaint your old house, touch up marks and scuffs -- especially in high-traffic areas like the kitchen or living room. If you are planning to sell your house, you have to stage it for the real estate market. Decluttering and depersonalizing are the first steps. Highlight your home’s storage and make it an environment others can see themselves in. A thorough cleaning doesn’t just help your home look great, it makes it smell great, as well. Finally, a fresh coat of paint can take years off your home’s overall look.